Had a weird clunk in the rear end when I would turn at very slow speeds. Seemed to be okay when I would drive straight but when I would turn at slow speeds the rear end would make a loud clunk and the driver side wheel was spinning abnormally (seemed to get stuck like it had extra frictional resistance). I also have a seal leak but this is out on the wheel bearing seal on the driver side. 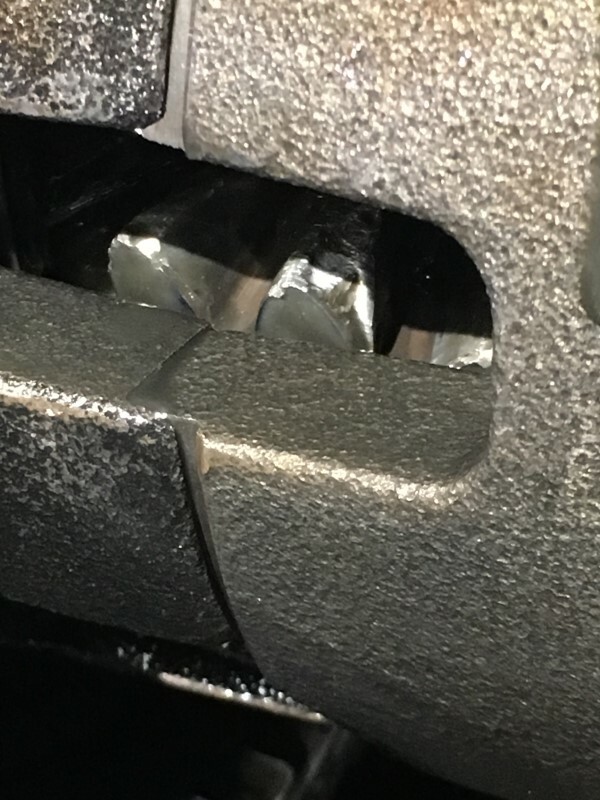 I decided to pop the diff cover off tonight and definitely found some issues. The cover had metal shavings in the magnet and definite contact/scarring on the inside face of the cover (see pictures below). The tone wheel has some gashes in it as well as the case half with the tone wheel flange. 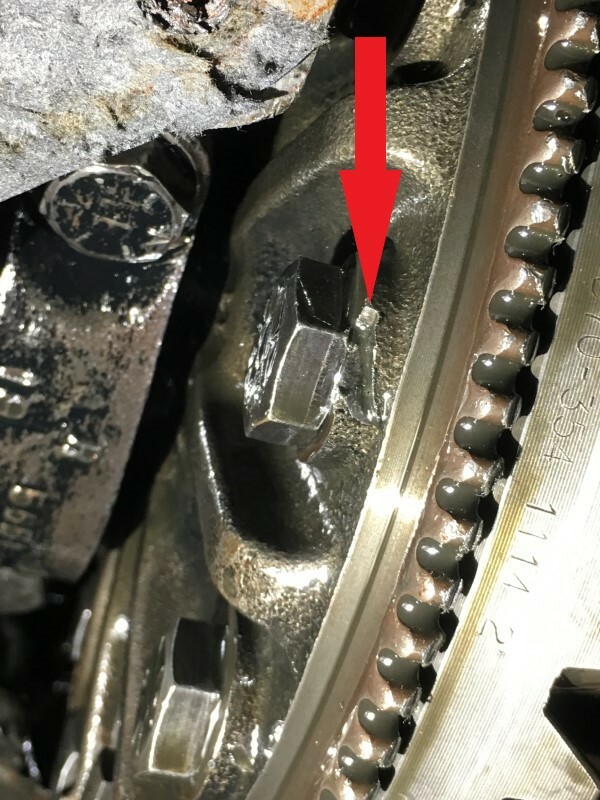 The pinion mate gears and the side gears inside the case are definitely chewed up (see pictures below). Ring gear and pinion appear to be okay but hard to say they are untouched and with how much of a mess I have found I want to assume they may have some unseen damage as well. So I obviously have a mess on my hands and thus I am trying to figure out the best route to go at this point. I know they make rebuild kits for the Dana 70 but is there a complete overhaul kit available because I am thinking everything is going to need to be replaced? The other question is would I be better off just finding a new axle? 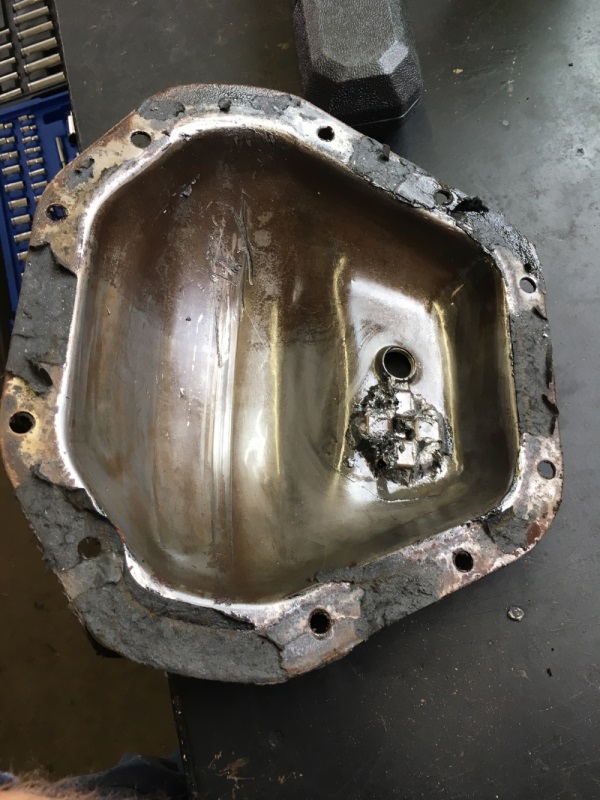 If you're unsure of what you're doing or dont have the proper tooling...I highly advise you simply take it to a reputable differential/driveline shop. You'll need a complete rebuild since the spiders are shot and the metal debris floating around in the lube probably did some work on the bearings and possibly the ring and pinion. No need to swap axles either as you'd have to find the exact same axle and it wouldnt be easy either. More info needed including location. There are some on Craig's list in Sacramento Ca area. Limited or open diff if matters to you. Same speed sensor if drum brakes. Same applies to acquiring rebuild parts. Your gears may be fine. I am in the Minneapolis Minnesota area and work north of the twin cities. There are definitely some options for getting a used full axle if that is the best route. I should be able to find one. Sticker in glove box says its 3.55 gears and limited slip differential but here's where I get confused and tell me if I am going about this incorrectly. 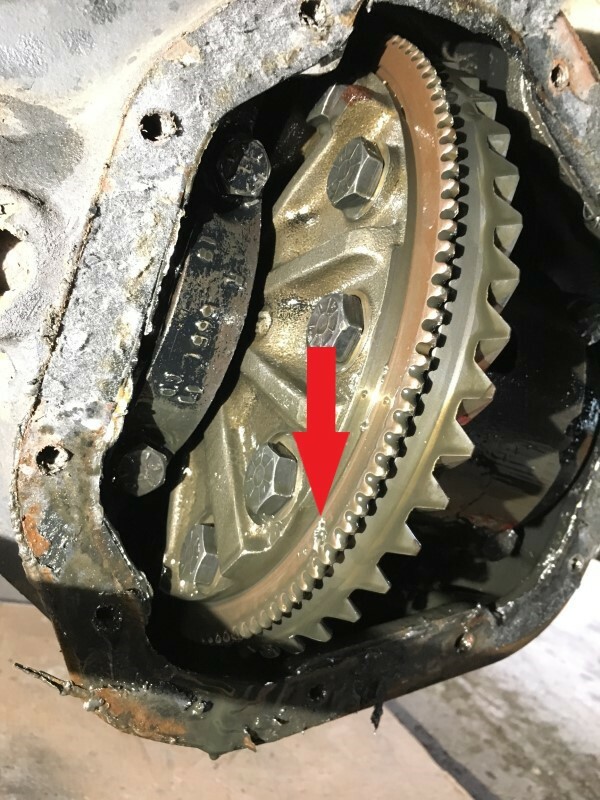 I wanted to check the gear ratios and if it truly is limited slip because the two previous owners have done quite a bit of work to the truck so I don't know if it's been changes since factory. For the gear ratio check I marked the u joint at the input of the differential (at the end of the driveshaft. I spun the wheel 1 complete rotation while the truck was in neutral and I only counted roughly 1.75-1.8ish turns of the u joint. Does that make any sense or could it be a result of my trashed diff? neutral: I spun each of the rear wheels individually. When spinning forward they would spin individually (the other side would not spin at the same time). When I spun them backwards the other side would spin in the opposite direction. Limited slip may be worn out making it act like an open. Maybe somebody put in an open. You can install either one. Just match the 355 and brakes. AKA 01/02 with disc brakes and 3.55. 3.55 means 3.55 turns of the driveline to one turn of the axle. You did not count right somehow. maybe it is because one was turning each way halving it. There was only 355 and 410 originally Glove box while show which and it will say DSA for limited slip(aka Antispin). A used one a can be any where from 250 to $1000 depending on how good of a shopper you are and patience. 750 average. Parts alone will be about 750 Plus without gears, and hard to find. Open would be less without clutches etc. I would look for a used 355 with DSA and disc brakes. 01+, Pull cover and inspect first on replacement. i also live in minneapolis, if you are going for a rebuild i know some guys who work at a local drive line shop that have always given good prices. i personaly always recomend rebuild over replace. you never know what you are getting in youre replacement unit. these axles are not terribly expensive in parts to rebuild, i did both of mine with heavy upgrades for under 2500. id bet you could get hte back parts for less than 600 baring any catastrophic damage to the housing. the pictures look like the factory trackloc, probably just needs a rebuild. What's the name of the drive line shop that you used? I may check them out to get a quote. Average price of a high miles axles (200,000+) seems to be about $500 around here (most are drum brakes but I did find a couple with disc) and low miles (under 200,000) seems to be around $1000. the prices for a used axle arnt bad, if you find a disk one thats a good upgrade. the parts stores are Proven force here in the cities, they have two shops. then there is another parts shop about 2/3 of hte way to rodchester - zumbrota drive line, and its owned by randys ring and pinion (the website). there are two shops that i have gone to for drive line advice (i do my own work so ive never used them directly for repair). one is AA drive line in anoka (they have sold me parts at a great price and ran weld beads for cheap on parts my 110V wasnt safe on). then there is TSI transmission just down the street from my work, a friend who helped me with my transmission works their as their tech (at least they were in talk to hire him last i spoke to him so i think he is there) reguardless he usedto work with some rebuild shops on gorend transmissions and also does repairs out of his garage on the side, very good tech. Just an FYI... If you swap for a rear disc axle then you'll have to change a few items on the braking system, like the master cylinder and rear proportioning valve. But that said, if you live were corrosion is an issue then the 2nd gen rear disc calipers were notorious for sticking. Hey guys, Post 4 he stated he already has disc brakes. 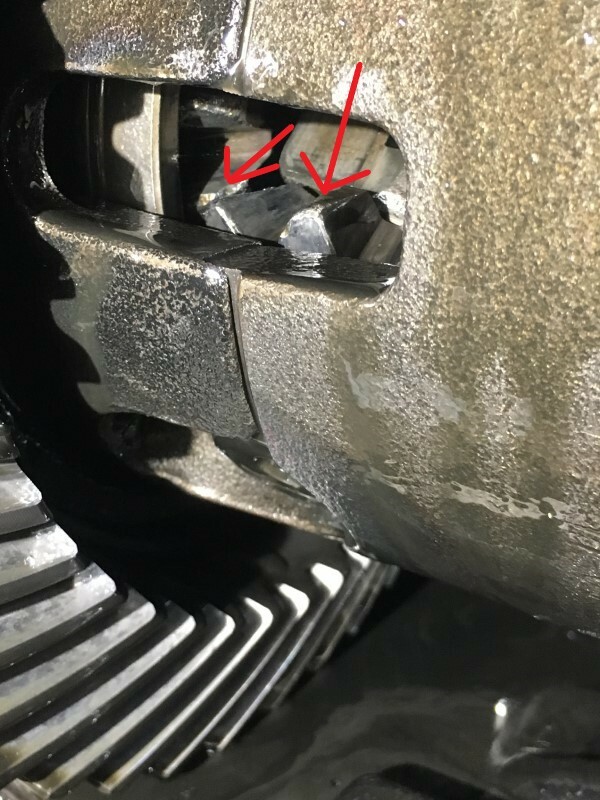 Bigfish is correct, my truck already had the disc brakes on the Dana 70 axle and KATOOM is correct about the caliper corrosion issue. I already replaced one that broke off the caliper bracket. I plan to do the other side once I get the diff figured out. At this point I am leaning towards buying a full axle and just swapping out the axle to save some money. I found one for $550 but it does have 250,000 miles on it. If it looks good internally I may run with that one. Otherwise there is one for $1,000 which only has 110,000 miles on it but the truck was totaled pretty bad and they stated the rear driveshaft was bent so that makes me a little nervous. I also want to make sure I actually do have 3.55 gears. Does anyone know what the tooth count would be on the ring gear? I think there may be a part number etched on it as well that I can go back in and look at.